Taarak Mehta Ka Ooltah Chashmah is one of India’s longest-running TV Serial. It is produced by Nella Tele Films Private Limited. The show Taarak Mehta Ka Ooltah Chashmah went on air on July 28, 2008. It airs from Monday to Friday on Sab TV. The show gives high voltage drama to there viewers. There are so many viewers who follow daily update of the serial. today’s episode of Taarak Mehta Ka Ooltah Chashmah is all about Jethala and Gokuldham was leave for their surprise trip. 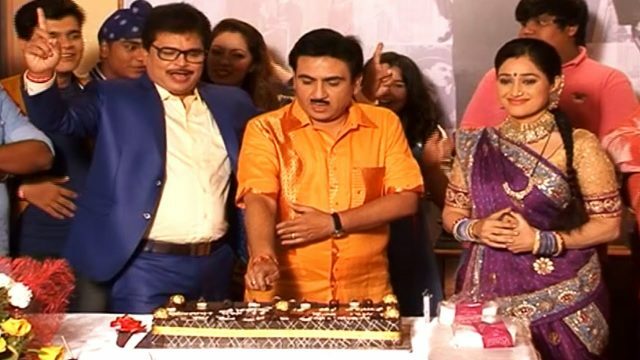 Taarak Mehta Ka Ooltah Chashmah 17th January 2019, written episode update begins with Anjali asks Taarak if he knows where Jethala is taking them to for celebrations of Makar Sankranti. He replied to him that he has no idea about this and that Jethalal has not apparent the surprise related to this. Everyone in society gets very excited about the trip. They all wake up at 3 am and get ready for the trip. Champak Chacha who is the father of Jethalal goes to check on him and he finds him asleep with the toothbrush in his hand. He throws a full glass of cold water on him and gives him only 10 mins to get ready. After this Jethalal rushes and gets ready for the trip. Bhide calls up Chacha Ji and tells him that the bus is here as well and said everyone get ready, all are waiting for him and Jethalal. Bhide also asks about Jethalal and if the latter is getting ready or not. Everyone plait at the compound and asks for Jethalal. Iyer, Popatlal and Bhide get very angry that Jethalal asked everyone to get ready but he is himself late. Bapu ji asks the bus driver and cancels the trip. By listen this everyone requests Chacha Ji not to cancel the trip.